Our vision is to cure the housing crisis in a meaningful way for key-workers, first-time buyers and last-time homeowners and to improve healthcare for local communities. We invest 100% of our funds directly into the development of housing and healthcare infrastructure; creating new environments that change peoples’ lives and deliver sustainable, responsible returns. homes today and for the next generation. maximise assets and protect their future. AHH partners with government bodies to develop surplus land into sustainable communities. Through the provision of much needed a­ffordable housing and healthcare infrastructure we deliver win-win-win outcomes for government, investors and local communities. 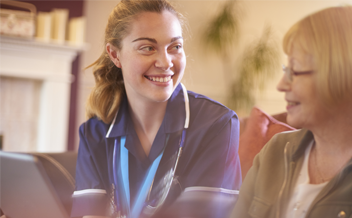 We are the only infrastructure group in the UK capable of delivering end-to-end solutions and are unique in partnering with an NHS Foundation Trust to deliver a­ffordable retirement housing. Platinum Skies creates high-quality affordable homes for the elderly. 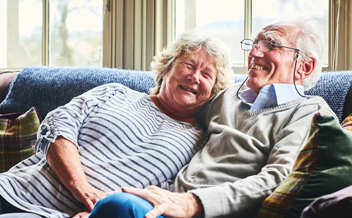 It is the only retirement living provider in the UK that connects age-friendly housing with retirement lifestyle services and financial solutions to release equity. Platinum Skies is a for-profit Registered Provider of affordable housing and is supported and regulated by central government (Homes England). Encore designs and operates state-of-the-art care home properties which deliver clinical excellence and result in stable and secure income streams. Encore is helping to provide a sustainable solution to the UK’s elderly care home shortage. Encore manages the operations of CQC reglated care homes, providing elderly, residential, nursing and dementia care. environments where affordability and wellbeing are paramount. The housing crisis is at the top of central government’s agenda. Our innovative highly collaborative approach works so differently to the national housebuilder and delivers much more. Rather than having just a regulatory role through the planning system, the Local Authority and community are at the centre of the process, involved as partners. We provide the infrastructure and governance to enable local SMEs to design and deliver new environments that contain a diversity of architecture, acute attention to detail and the optimum mix of affordable and open-market housing. This approach ensures that the value created is kept within each community and fosters an economically resilient business ecosystem, building a sustainable community legacy. to deliver great value for everyone, forever. The Affordable Housing and Healthcare Group invests responsibly into alternative sectors with stable, needs-based market dynamics. Managed by a blue-chip Investment Board, AHH’s long-term investment strategy is to utilise asset-based government-backed securities to deliver tax-efficient returns in a secure, predictable and sustainable manner. Maximise value of surplus land and property assets at zero risk and cost. Partners receive development profits, long-term annuity and long-term ownership of assets. Government-owned land transformed into affordable living and healthcare communities. Reduce demand on public health and social services. 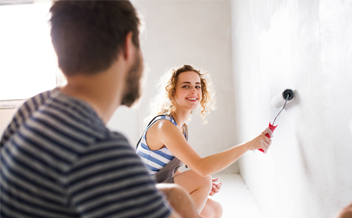 Affordable home ownership for a wide segment of the population. First-class specialist healthcare facilities for the elderly. Beautiful new environments designed to enhance social prosperity. Contracts and business growth for local SME developers. Opportunities to invest in the development of local infrastructure.